How Far is Unnathi Woods Phase 3? Raunak Unnathi Woods Phase 3 is situated in Thane. This project provides all facilities that today's home buyer would want to have. The Project is a part of the suburban locality of Thane West. Thane West is connected to near by localities by wide roads. inhabitants of the locality have easy access to community utilities like schools, colleges, hospitals, recreational areas and parks. The facilities inside the project are designed for comfort. Windows with superior anodised aluminium sections & superior quality glass. Gypsum finished walls with quality paint in all rooms. 2’ X 2’ vitrified flooring in all rooms. T.V & Telephone point in the living room & both bedroom. Video door phone with intercom facility in each flat. Ceramic tiles dado up to door heights in Bathroom. Concealed plumbing with luxurious fittings. Black granite platform with stainless steel sink. 4' ceramic tiles dado above platform. Raunak Group believes in creating projects to its clients as per their choices and preferences along with the unmatched quality in the real estate industry. The group strives on creating value to the clients and maintaining very strong relationships with the customers. Since its establishment in the year 1980, Raunak Group has constantly developed projects in the cities like Mumbai, Pune, Kalyan, and Thane. The group has developed various township projects in these cities and has covered over 5 million sq. ft. of land including 2.76 sq. ft. of the land which is being covered by the upcoming projects by Raunak Group. 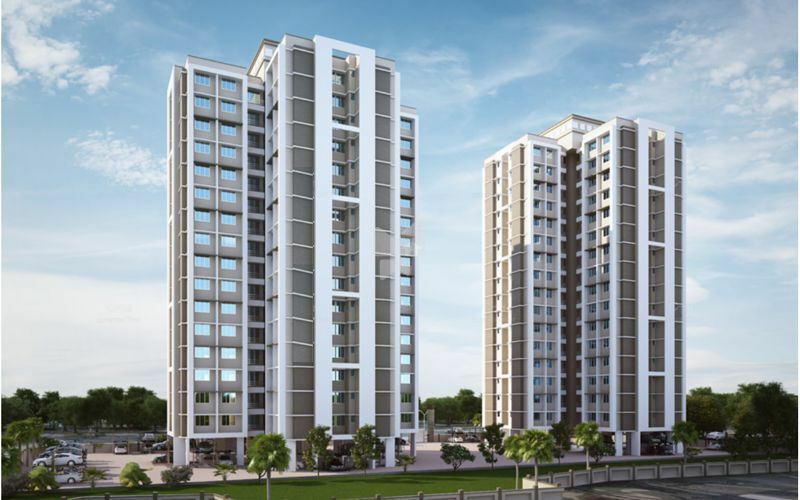 Their developments include Raunak Residency in Thane West, it offers 1BHK and 2BHK apartments for sale in Thane and Raunak Viraj Tower also in Thane which offers 5BHK apartments for sale as well as Raunak Delight in Thane, offering you 1BHK apartments for sale. Their passion for creating elegant homes and commitment to excellence has allowed them to bring a lifetime of happiness to their clients. The group aspires to offer superior quality in the present and future endeavors by providing customers with spacious and luxurious homes with modern facilities and affordable prices.